Uch Sithea is from Kandal province. She graduated from Royal University of Phnom Penh 2013 and is a former Youth Star volunteer 2014 to 2015. She was based in Cheang Daek commune, Kampong Trabaek district, Prey Veng Province. Sihea says “I would like to tell you about a young girl, Puthea, whose life I have helped to transform through my volunteer service”. Puthea lives in Kraing Veng Community. She was born into a very poor family; her father had a number of wives and has to travel away from the home to find work on construction sites. Puthea has several half siblings and a younger full sister Saveun. In observing the younger sister Saveun, who is enrolled in the children’s club Sithea became aware that there was a serious problem in the family . Savoeun always seemed pale and unhappy. Through engaging the children in conversation Sithea discovered that both girls were victims of domestic violence and also had to take care of their stepmother’s children often at the expense of their own education. Puthea eventually fled her home because she had been beaten and threatened by her step-mother. Together with the village chief Sithea was able to talk to the mother and she agreed to an agreement to treat the children well. Sithea also convinced Puthea to return home. 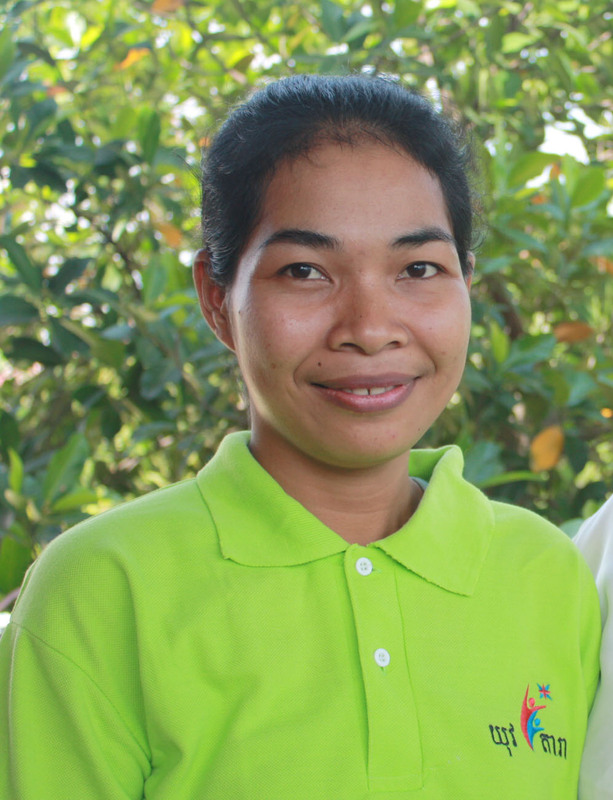 Sithea says “I am proud to have helped improve the lives of Puthea and Saveun, and others too. The village chief told me that for the first time, through the education campaign that I and the children’s club organized, all children in the community are registered in school”. Thanks to my volunteer service and work with young girls I recently had the privilege to meet the U.S. first Lady Michelle Obama in Siem Reap. That was a very moving experience. I am grateful to have had the opportunity to serve as a volunteer. It has transformed my life and the lives of others less fortunate than me.